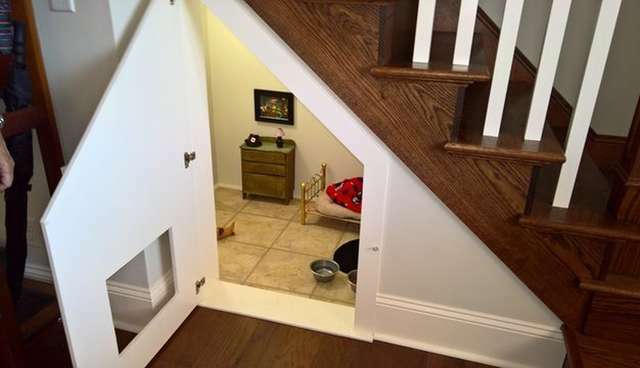 Everyone could use a little place to call their own, a private space to unwind in at the end of a long day - and dogs are no exception. 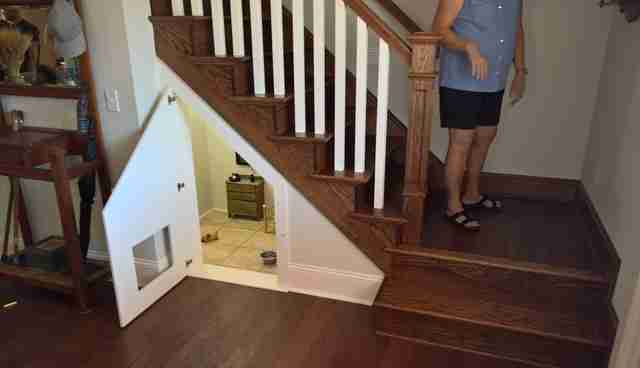 But few pet have digs quite as nice as this. Imgur user Fatisbac recently paid a visit to his aunt who moved into a new home. Evidently, she thought it would be nice to give her pet Chihuahua an upgrade, too. 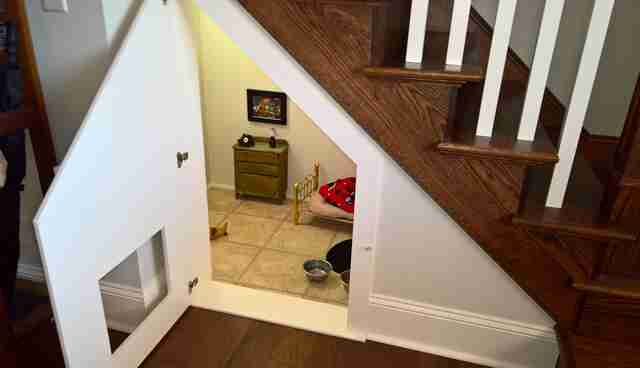 As it turns out, a nook beneath the stairs just so happened to be the perfect fit for the pup's new dog cave. 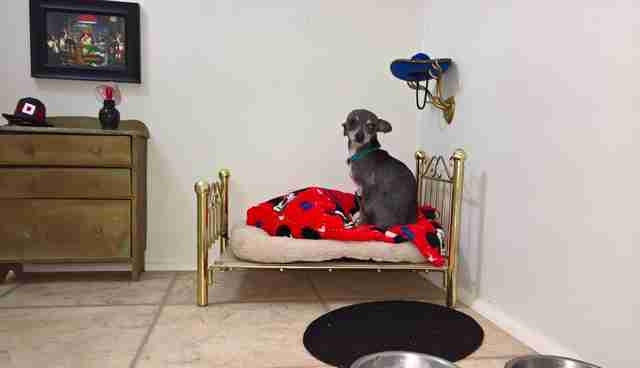 The room has all the amenities you'd expect to find in a cozy dog-sized abode - from an elegant mini bed to something to eat and drink, a toy on the floor and chest of drawers to store more in. There's even a tiny painting of dogs playing poker. Perfect! Perhaps more than any one item in particular, it's easiest to see that the Chihuahua's new Harry Potter-esque hangout was built with a lot of love from his doting owner - and that's what matters most. Clearly, this dog has it good.